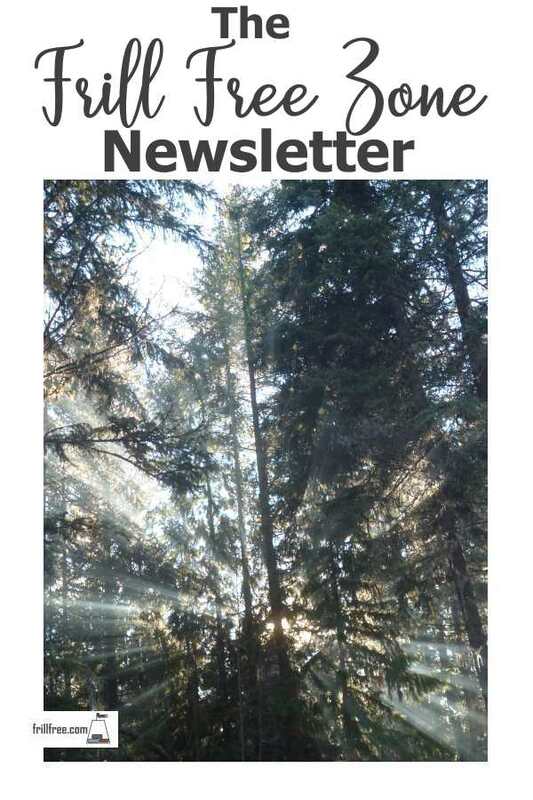 The Frill Free Zone Newsletter is a monthly-ish update for all things simple living. If you're into the homesteading or alternative building mindset, this is the place for you. My life is pretty simplified and pared down, and I want to share with you how it's done. There are no fancy recipes using ingredients you have to order online from far away countries. Everything is tested right here in my very own kitchen. All the household tips you see here are trialed and there are tips for homesteading, like what kind of firewood burns the best, and how to store it for optimal results. Our tiny 500 square foot house and all the little outbuildings are described in detail on the site. In the Frill Free Zone Newsletter I'll share other tidbits of information, and links to interesting pages so you can enjoy the lifestyle too. Sign up in the box below to subscribe.